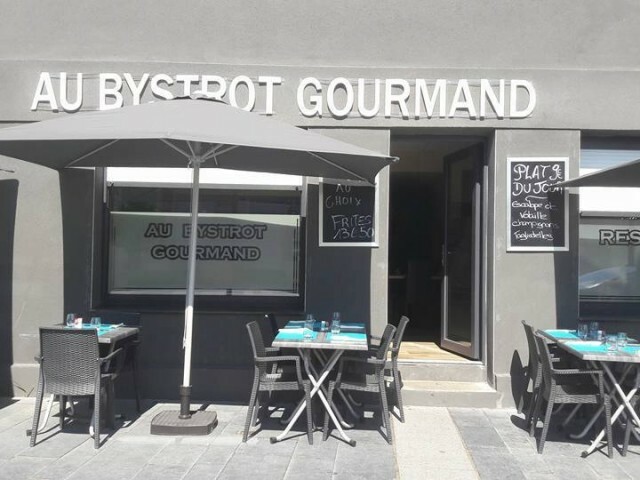 Welcome to Restaurant Au Gourmand Bystrot downtown, facing the cultural center Louis Aragon library Escale in the town of Auby, Common Agglomeration Community of Douai (CAD) Douai. The Bystrot Restaurant Au Gourmand is located near the Loribes Near business park and shopping center Carrefour Flers-en-Escrebieux near Courcelles-Les-Lens, Lauwin Planque Leforest, access Bypass Mining output Douai Lens Auby Douai. The team Bystrot the Gourmand welcomes you to their table in a modern and friendly atmosphere. In Bystrot Gourmand offers their different formulas prepared from fresh and home cooked. The catering service is also at your disposal. The Restaurant Au Gourmand Bystrot Auby is open Monday to Friday for lunch from 11:30 to 14h 30. Reservations are recommended and desirable.